The SGA is delighted to announce its full speaker line-up for the 2018 AGM with Simpson Game Ltd in Inverness. 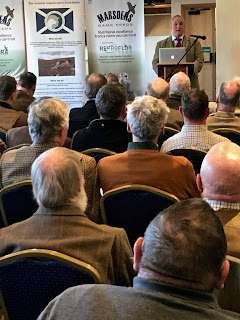 The meeting is a key event in the organisation’s calendar, alongside the GWCT Scottish Game Fair (29th June to 1st July) and Moy Highland Field Sports Fair (3rd and 4th August). The organising committee is delighted to have enlisted an excellent programme of speakers covering a diverse array of topics which are sure to be of interest to the membership. As is customary, SGA Chairman Alex Hogg will deliver the opening address, with a number of new SGA initiatives to announce for 2018 and topics such as Scottish Government's deer and grouse reviews to discuss. Also on the podium will be Simon Lester- former Head Gamekeeper on the Langholm Moor Demonstration project, River Dee Trust Director Mark Bilsby and Laurel Foreman who has added an on-site butchery to her successful organic farm operation at Alford. 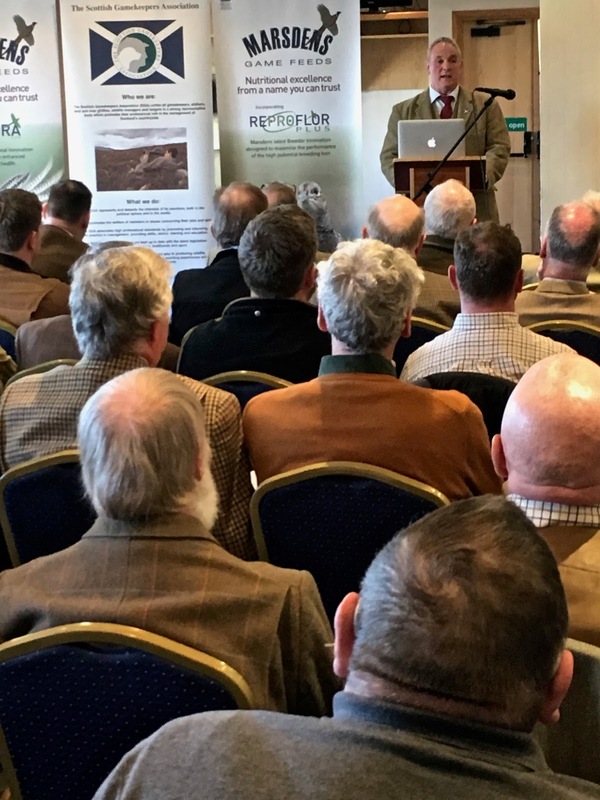 Joining them will be crofter and land manager Robbie Rowantree, whose recent Erasmus visit to Norway raised questions about how species management can be broached from a differing perspective. Megan Rowland, assistant land manager, deer stalker and blogger will address the issue of perceptions within the game industry and how we can all play a part in attempting to change them. All those hoping to attend the AGM should inform the office as soon as possible on 01738 587 515 or info@scottishgamekeepers.co.uk so arrangements can be made to cater for all in comfort. Lunch will also be served at the close of proceedings, as usual. Please specify, when contacting the office, whether you would prefer Cottage pie or Chicken and Ham pie. Please put the date in your diary. We look forward to seeing you all on the day. © Scottish Gamekeepers Association Charitable Trust Registered in Scotland Charity number SC386844.. Simple theme. Powered by Blogger. Registered address: Inveralmond Business Centre. 6 Auld Bond Road, South Inveralmond, Perth, PH1 3FX.